So I just gave her a good trim. The last one was more than 6 months ago. 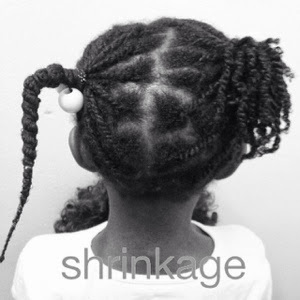 Before the trim, and after washing and conditioning, I put her hair in small twists throughout. 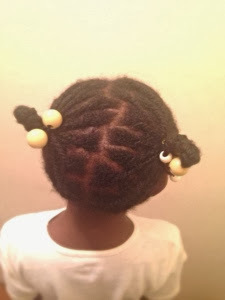 I then threaded the ends to have them stretched out for an effective trim. 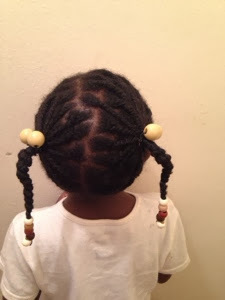 I divided her hair up into two parts, right and left side. The ends were threaded to keep them protected. 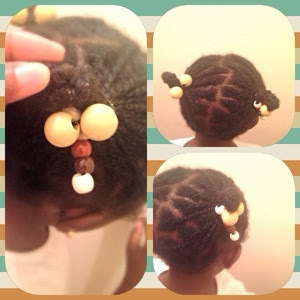 I added some beads to the ends but they looked kind of thin, so I put them in a bun.